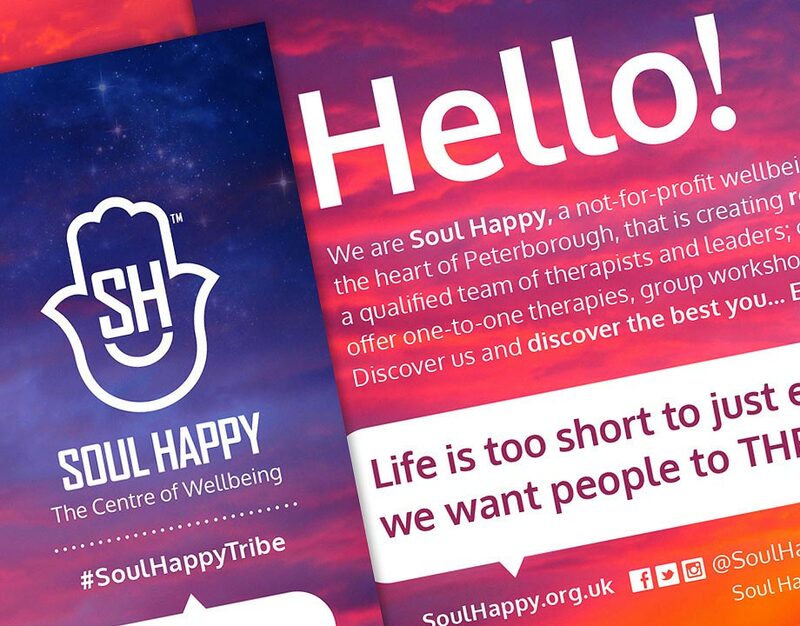 Soul Happy is an award-winning not-for-profit wellbeing centre based in Peterborough city centre. 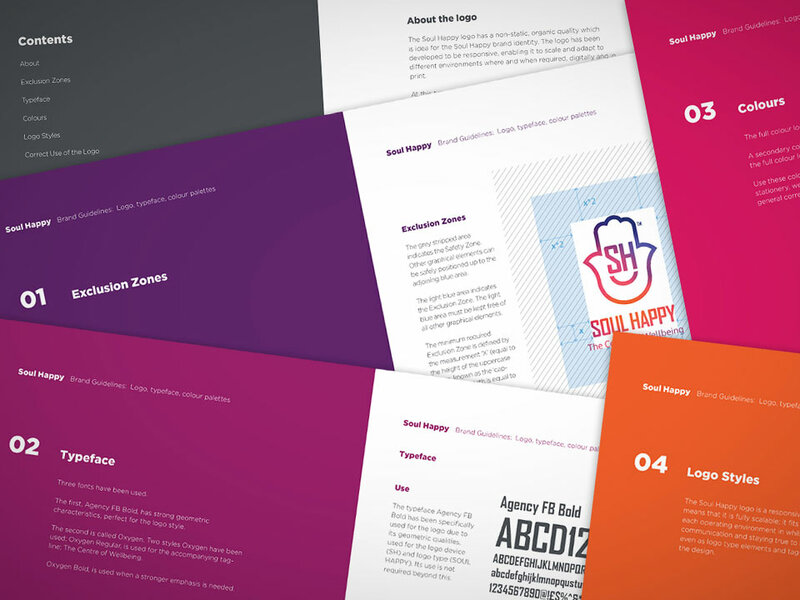 Create branding for Soul Happy featuring strong, easy to recognise, scalable, geometric shapes. The identity should also link to the universal, spiritual nature of the organisation. The logo must be flexible in its adaptation to represent different services. 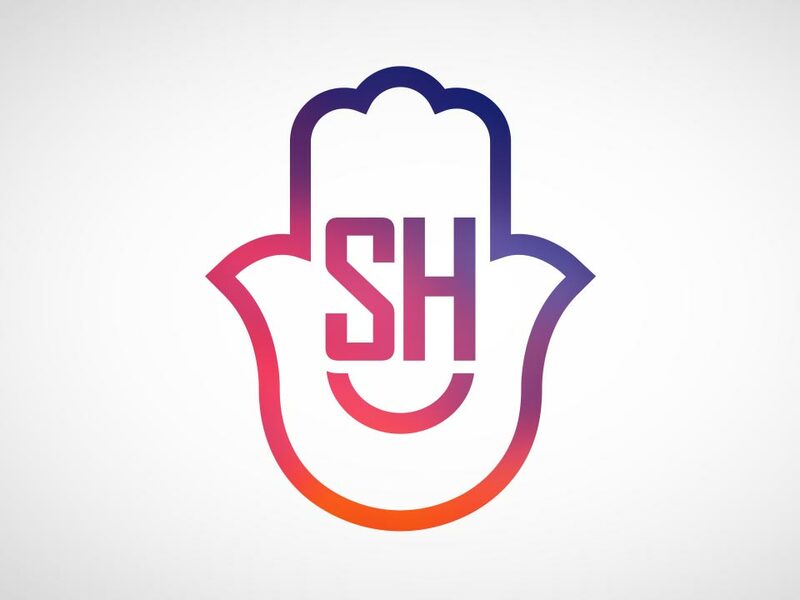 The logo we created features a hamsa hand – a sign of protection, blessings, power and strength. It also features a geometric sans-serif typeface. 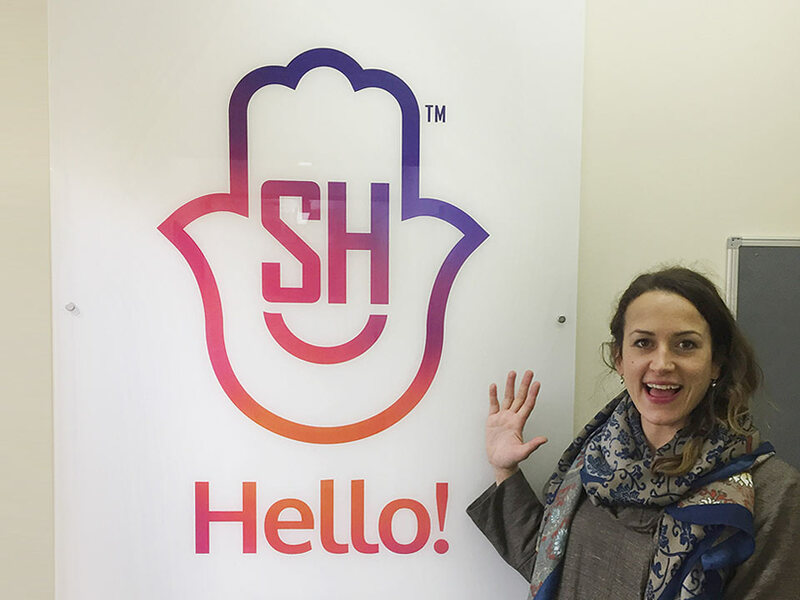 These represent key elements that have a fundamental relationship with the services and aspirations provided by Soul Happy. We have created brand guidelines, signage and items for printed media to help promote the organisation. The result is a clean, fluid, organic brand identity which supports all the values the client requires. 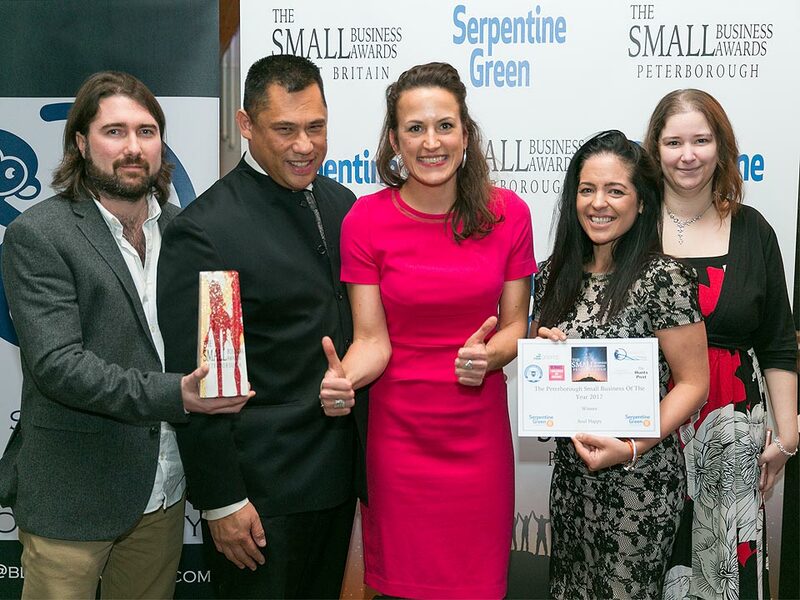 Image: Soul Happy MD Kim Coley (centre) collecting the winners award for Overall Small Business of the Year 2017, along with members of the Soul Happy team and Sensation Creative director Simon Bell at the Peterborough Small Business Awards ceremony. Kim also won Small Business Owner of the year 2017.